The Hyster® H2.0-3.5FT forklift truck range offers all-round benefits for efficiency, driver productivity and low cost of ownership to applications throughout the supply chain. 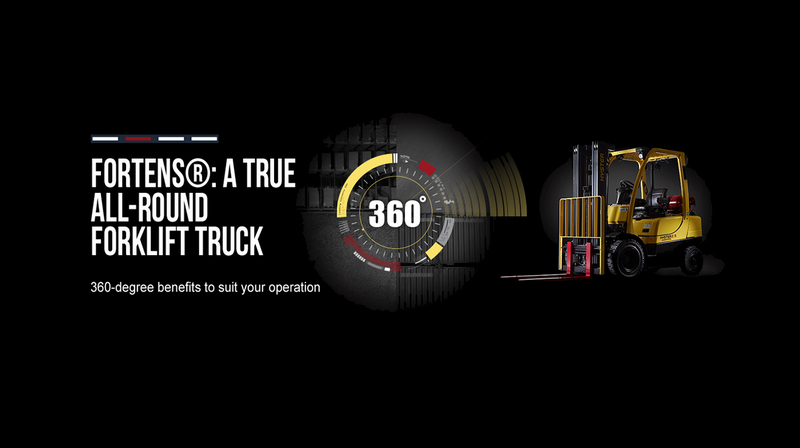 Here are seven ways that the diesel or LPG Hyster® Fortens® will provide operations with 360-degree benefits. The ECO-eLo “fuel efficiency” setting on Hyster® Fortens® models, reduces the engine speed and fuel consumption, while maintaining good performance, helping to balance productivity and fuel consumption for optimum efficiency. To account for environmental considerations, the Hyster® H2.0-3.5FT series will also be available with low emission Stage V engines from early 2019, in line with emissions legislation coming into effect in the EU and regulated markets. Forklift operator comfort is important, particularly during long, demanding shifts. A high level of comfort contributes to increased productivity, less fatigue and reduced absenteeism, helping to reduce overall operating costs. 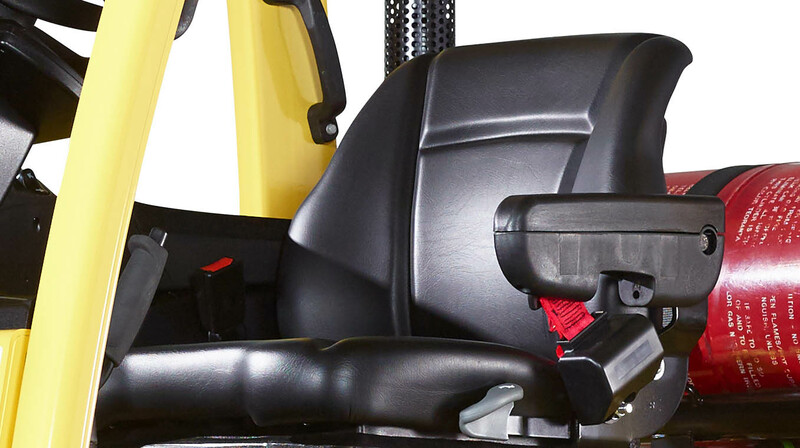 Intelligently designed with drivers in mind, the comfortable and spacious operator compartment featured on the 2 – 3 tonne capacity lift trucks includes an ergonomic air suspension seat and generous foot and storage space. The isolated powertrain provides a low whole-body vibration and operator ear noise levels are low. Customising the Hyster® lift truck with a heated or air-conditioned cab also keeps the operator comfortable in extreme temperatures. Excellent views of the operation and the load are provided, thanks to the mast design, position of the chains and hose routings and the enlarged window. A panoramic mirror can also be included as an option. Easy access and well-located grab handles aid frequent mounting and dismounting, and an adjustable forklift steering column allows the operator to find the optimum driving position, with comfortable steering from the spinner knob supporting productivity. Highly responsive, intuitive and easy to use, optional seat-side e-hydraulic controls allow hydraulic functions to be operated with minimal effort and include the return-to-set tilt function for maximum precision and efficiency handling loads. H2.0-3.5FT lift trucks have several features to reduce lifetime costs. For example, in stop-start operations forklift brakes can undergo a lot of wear, contributing to high maintenance costs. However, oil immersed brakes on the Hyster® Fortens® series require very little maintenance, extending truck dependability. If selected, the Hyster® DuraMatch™ transmission manages truck deceleration, automatically reducing speed when the accelerator pedal is released, without having to touch the brake pedal, and it reduces brake wear. Further, it helps the driver to stop roll back on ramps to improve driver productivity and control and helps protect the powertrain and reduce tyre wear. The reduced component wear significantly reduces costs. The Hyster® Fortens® range is also fast to service, with all components easily accessible, further contributing to the low operating costs and minimising maintenance downtime and costs. Excellent manoeuvrability delivered by the Hyster® Fortens® 2-3.5 tonne forklifts contributes to maximised uptime and is achieved thanks partly to the DuraMatch™ transmission, which offers electronic inching and controlled power reversal. The Monotrol™ pedal option enables single foot control for acceleration and for changing direction between forward and reverse, leaving the operator’s hands free for steering and operating hydraulic levers. Added fork positioner attachments can enable the operator to quickly reposition the forks to fit pallets of different sizes, without dismounting the truck, while Load Sensing Hydraulics (LSH) increase productivity and lower fuel consumption. All of which also optimises uptime. With 360-degree solutions to suit a variety of application requirements, a range of Hyster® driver assistance solutions help the H2.0-3.5FT series make an even greater difference to individual operations. 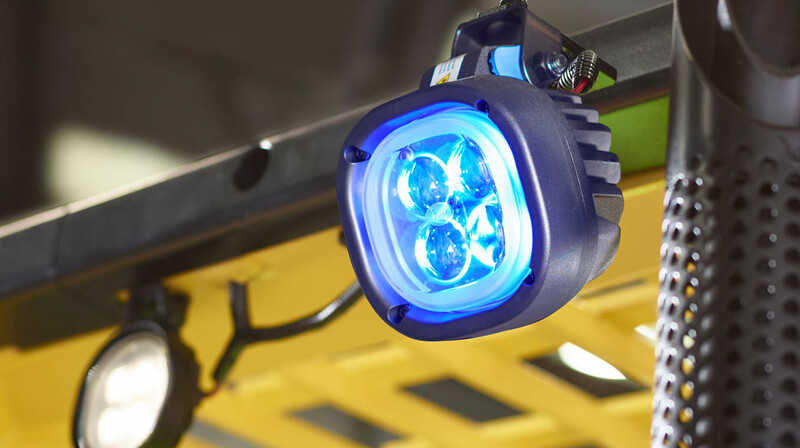 In busy warehouses, for example, Pedestrian Awareness Lights, can be fitted to the front or rear of lift trucks to alert pedestrians in the vicinity to an approaching vehicle. The optional Object Detection System uses an ultrasonic sensor package to detect objects and pedestrians, alerting the driver via audible or visible alarms. 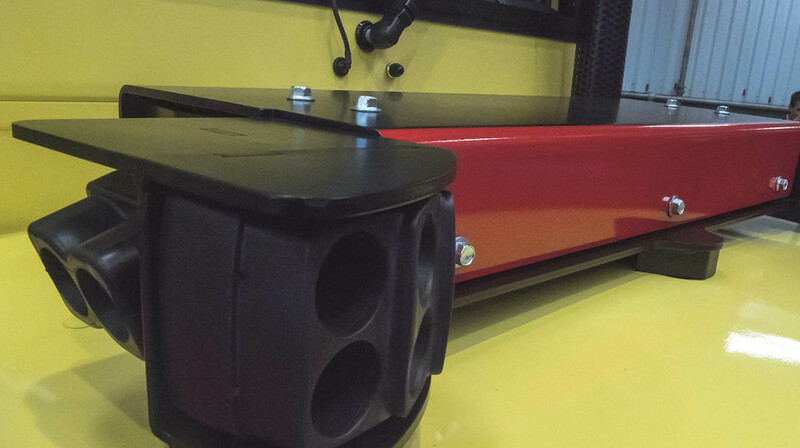 The truck can also be configured to reduce the speed of the truck based on distance from the object. For “in/out” operations, a Roof Detection System is available, which detects when the truck has moved inside from an outside area, and limits the truck’s travel speed when indoors to pre-set levels.To maintain load stability during handling, an Overload Detection System can be added on to a Hyster® Fortens® H2.0-3.5FT lift truck, using an audible and visual alarm system to alert the operator to overloading of the forks. This helps to avoid possible damage to the truck, load or warehouse infrastructure. 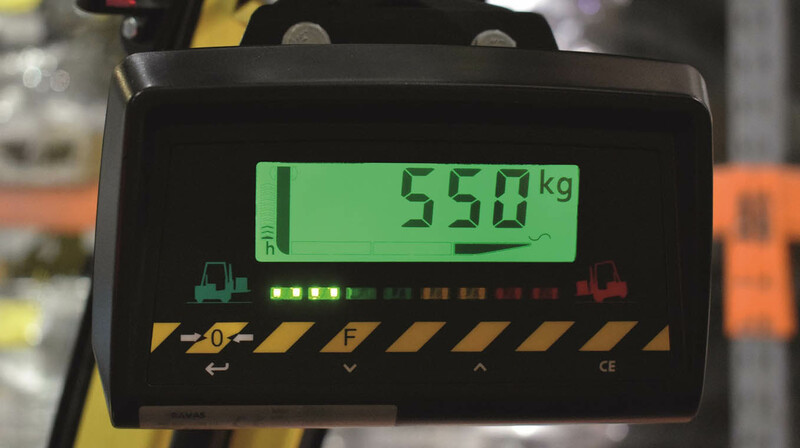 Operator accountability can be implemented across the whole fleet, including H2.0-3.5FT lift trucks, by adding the Hyster Tracker fleet management system. The wireless access monitoring system with individual access codes can be used to track key performance data, as well as to enforce daily checks and seatbelt use, with an optional interlock system preventing the driver from operating the truck until checks are complete and the seatbelt is worn. 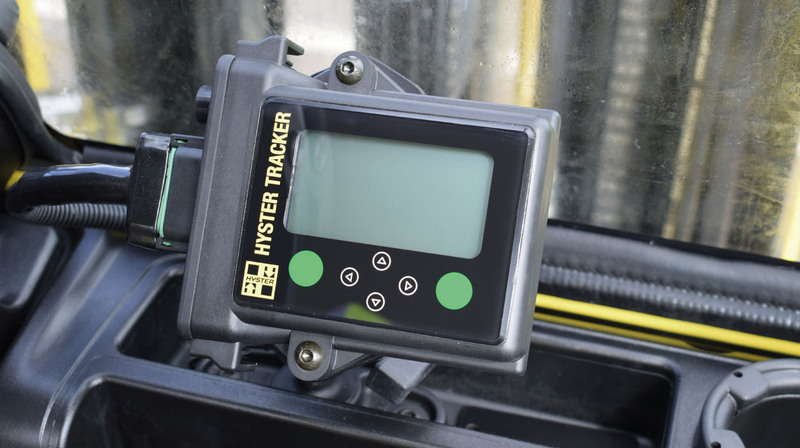 Hyster Tracker also helps operations to optimise fleet utilisation and uptime, helping managers make informed decisions through fleet management and analysis to save resources and reduce costs. With remote equipment monitoring and easily accessible real time operating data across multiple sites, maintenance can also be scheduled to minimise disruption to the operation. Not only is the H2.0-3.5FT available with an extended 2-year or 4000-hour warranty, but the network of local Hyster® distribution partners can discuss and calculate your maintenance costs, fuel costs, purchase price and residual values, based on your specific operation. After-sales service also helps to maximise your uptime and productivity throughout the lifetime of your purchase and offering full maintenance support contracts, Hyster® distribution partners provide a total solution, adapted to your changing short and long-term needs. The Hyster® Fortens® H2.0-3.5FT trucks are part of a 360° offering to meet specific application requirements and provide all-round benefits. For more information, contact your local Hyster® dealer. This entry was posted in 360-degree benefits, Counter Balance, Fortens, Fortens®, FT, Fuel Efficiency, Hyster, Hyster Europe, Solution, Tips and tagged Counter Balance, Fuel efficiency, Hyster, Hyster Europe, Solution, Warehousing. Bookmark the permalink.